DEARBORN, Michigan. 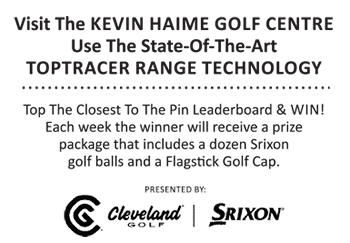 – The Golf Association of Michigan won four of the first five singles matches to top the team from Golf Ontario in the 8th International Senior Matches last week at TPC of Michigan. The GAM built a 3-1 lead in foursomes or best-ball play Wednesday, and then wins by Bill Zylstra, David Bartnick, Matt Wiley and Rick Herpich in singles matches Thursday ensured the 7 ½ – 4 ½ victory. The GAM and Golf Ontario alternate hosting the matches that are presented annually to promote international sportsmanship. Each four-ball match was worth one point, and each singles match was worth one point. Halved matches earned each team one-half point. Zylstra, Bartnick and Wiley helped with points on both days in the competition.